All cards are good to use, the point is what it means to YOU , and how will you use it . There are many cards out there to buy for playing. But you can also indeed create ones yourself. Cards are helping for easy decisions. Its true that, if IT IS made by you it's different feelings because OF your energy. While when bought, new need some time. (goes with all kinda cards). ​Suggestion for using daily(as you feel it, not forced). 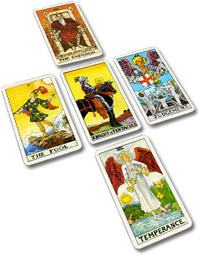 Tarot Cards - Tarot decks contain 78 cards, broken into two sections, the Major and Minor Arcana .